Flexible Working is Trending Worldwide. Are you ready to embrace it? Flexible working is the new trend in today’s working environment. With the rising of travelling cost; fuel price, train/bus tickets and not to forget, the endless traffic jam, it’s only wise for companies to offer options like flexible work arrangements and the ability to work from home or from anywhere to their employees. According to a survey done by PwC, 63% of workers say they expect that the standard eight-hour workday will be obsolete and 68% said they expect to work remotely instead of commute to an office everyday. Many companies are now adapting this new flexible working method such as flexible work hours, work from home, and hot desking and it’s definitely something that’s worth to consider. Less people in the office means less cubicle, less electricity bills, savings on overheads, and more. This allows businesses to grow and increase headcount without the need of having a larger office space. By not having to commute to the office or getting stuck in traffic jam, employee can save time and are more incline to start their work earlier and finish later. Also, flexible workers often work more effectively at home to justify the arrangement made for them and this means value increase for the business. The freedom to manage own time will give the confidence to the employee and create loyalty towards the employer. Offering flexible working can also be one of the ways for employer to retain valuable staff. With flexible working time, employee can work according to the time that suits them best; whether it’s morning or night. With the options given, employee will more likely to be present on workdays, reducing absenteeism and tardiness rate. Flexi working time is something that most employees sought after; to be able to spend more time with their families and friends. This would be a great appeal that a company could have to attract more employees that want to achieve a better work-life balance. To implement flexible working method, you also would need a good system to monitor their working time. 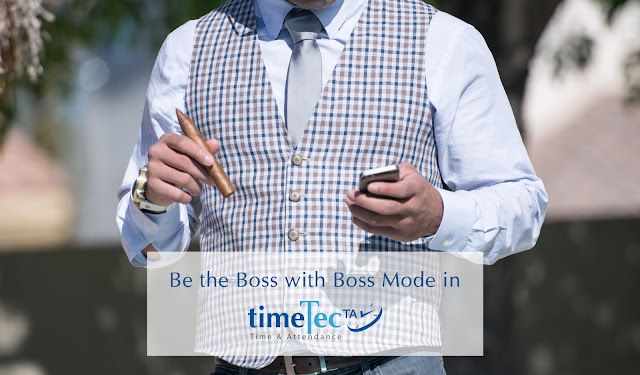 TimeTec TA offers flexi schedule setup and also allows employees to report their attendance via mobile using GPS option. With this, you can still monitor the attendance for your flexi workers and check their performance every time. A thing to note is, not every organization and all staff can adopt flexible working hours because some staff are required to be at the office or work place at all times due to the nature of the job like doctors, nurses, teachers, construction workers, factory workers and etc. But for the businesses that could, let’s get flexible and use TimeTec TA! 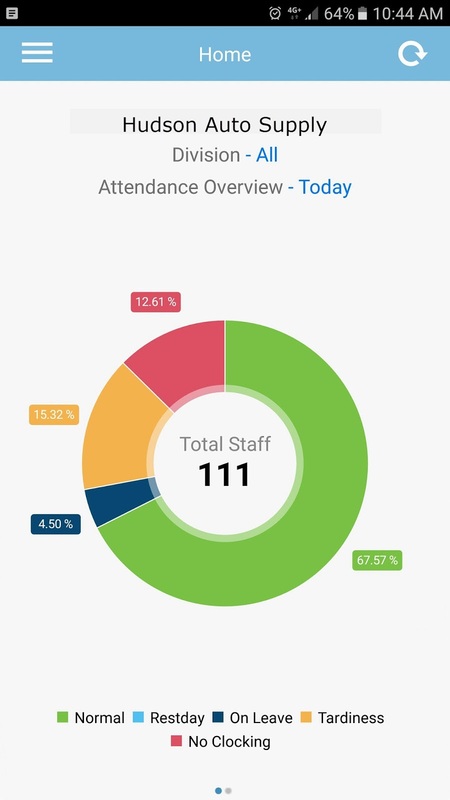 TimeTec TA App provides a comprehensive dashboard for administrators to take a quick look at the overview of the company’s workforce performance, and to supply a remedy for any problematic attendance patterns observed. Ironically, the bosses’ attendance records can affect the overall data because bosses are more often than not are not reporting for attendance, they don’t apply for leaves, they don’t adhere to the work schedule and shouldn’t be monitored. The Boss Mode is a feature in TimeTec TA that takes those bosses out of the system yet still provide them with the power to access and observe what’s going on in the Company. In this example, we are going to name the structure as Management. There are 3 people assigned to the Management under the organization structure, consists of Jonathan as the boss. Hence, you need to create a subdivision to house Jonathan as the Boss, and subdivision to place the rest of the Top Management people. Assign them to the subdivision accordingly. You can also have more than one person as bosses. You can also have different users assigned to different subdivision but still under the structure of Management. You need to create a new system role to be named Boss and select Partial Division. From the drop-down menu, exclude the Boss division (subdivision of Management). At the Access right section, select Full Module Right. Finally, assign the boss to this new system role. With the Boss Mode, the bosses can access the system and monitor all the activities without being counted in and nobody can have access to the bosses’ profiles and the ‘performance’ and the dashboard will present the total of staff without the bosses' data anymore. 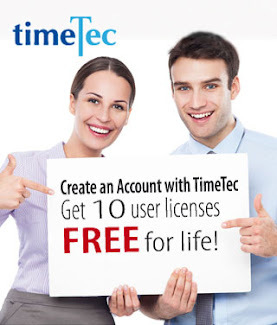 10 USER LICENSES FREE FOR LIFE! Now You are a Reseller, What’s Next? Let’s Get Started! Modern Companies Need to Switch to Cloud-Based Guard Monitoring & This is Why! 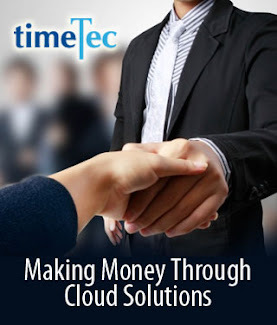 TimeTec is a solution from FingerTec to pave our way into the future with cloud computing solutions. TimeTec is a powerful cloud-based solution for automated Time & Attendance to suit most businesses, regardless of their size. TimeTec is designed to help organizations reduce their administrative overhead by eliminating the time spent on manual timecard calculations, decrease overall labor costs, and to shrink the gap between payroll policy and actual practice.